1.How do I purchase DJI FlightHub? FlightHub Basic/Advanced: purchase from DJI Store or your local authorized DJI dealer. FlightHub Enterprise: please contact your local authorized DJI dealer to purchase. 2.What is the difference between FlightHub Enterprise and FlightHub Basic/Advanced? DJI developed FlightHub Enterprise to empower users with the control to take full advantage of DJI’s drone technology while meeting data security requirements. Please see the table below, which provides an overview of how FlightHub Basic and FlightHub Enterprise are deployed in a network. 3.What system configurations do I need to install FlightHub Enterprise? 4.How do I activate my FlightHub Basic/Advanced Plan account? When purchasing a FlightHub Basic/Advanced plan, your email and activation code are bound together. If your email is already connected to a DJI account, you can activate FlightHub after logging in to the system at www.dji-flighthub.com. If your email is not already connected to a DJI account, first visit www.dji-flighthub.com and select “create your DJI account” to set up a DJI account using this email. Afterwards, you can proceed by logging in with this new DJI account and then completing the activation process as prompted. 5.How can I continue to use my license when it expires? You will receive a license renewal reminder via email when your license is about to expire. You can renew your license in DJI Store. When your license is about to expire or has expired, please log onto the FlightHub Enterprise Management Center to download the file for license renewal and send it to technical support. Once the license is successfully renewed, you can import the license to the FlightHub Enterprise server and complete the activation process as prompted. 1.How do I bind my aircraft to the FlightHub system? You can bind your aircraft to the FlightHub system via the DJI Pilot App or DJI Pilot PE App. An internet connection on your mobile device is required to carry out this process. Each aircraft is bound to one flight team only. If you receive a prompt that your aircraft has already been bound, simply unbind it on FlightHub first, then reconnect. 2.What is the difference between Admin, Captain, and Pilot? An Admin is in charge of the FlightHub account with the highest level of permission, and their authorization can't be changed. They can access the FlightHub platform, check flight data, and invite new captains and pilots to join. Admins can add captains and have the power to change their authorization status. Captains have permission to access the FlightHub platform and invite new pilots to join. There is only one Captain per team. 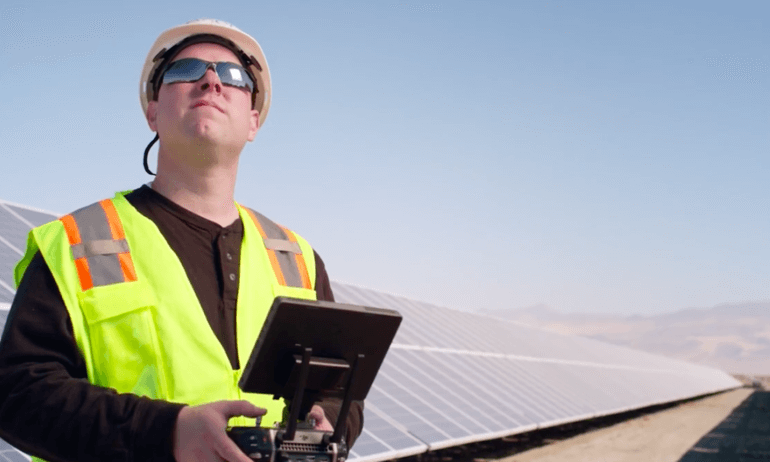 Pilots have no authorization to access the FlightHub platform but have their drones bound to the system through their DJI Pilot app, providing telemetry and other information to the system. Pilots can be in different teams simultaneously. 3.How many drones does FlightHub support? FlightHub Basic: each license supports up to 5 drones. FlightHub Advanced: each license supports up to 10 drones. FlightHub Enterprise: the license supports 10 drones. You can purchase Add-on Kits for support of additional drones. Contact your local authorized DJI dealer for more information. 1.What types of DJI aircraft are supported by FlightHub? The following aircraft are supported：Matrice 200 Series V2, Matrice 200 Series, Matrice 600 Series, Inspire 2, Mavic Pro, Mavic 2 Enterprise, Mavic 2 Enterprise Dual, Phantom 4, Phantom 4 Advanced (excluding Phantom 4 Advanced+), Phantom 4 Pro (excluding Phantom 4 Pro+). 2.In which operating system does DJI Pilot /DJI Pilot PE support FlightHub? FlightHub is currently only supported by the Android version of DJI Pilot and DJI Pilot PE. 3.What is the recommended browser for using FlightHub? For optimal performance, we recommend using Mozilla Firefox or Google Chrome to access FlightHub. 1.What is the maximum number of live videos (from the aircraft) can I simultaneously view on FlightHub Web? FlightHub Basic: the live stream is not supported. FlightHub Advanced/Enterprise: up to 4 live stream videos in a single web browser. 2. The aircraft has been connected to DJI FlightHub through DJI Pilot / DJI Pilot PE app, why is there no live video after enabling the live stream? This is likely due to your browser’s default Flash settings. Please manually enable it and refresh the page to access the live stream. 3. Where do I find my videos and photos? If your license allows media storage, please login to FlightHub Enterprise and click on the ‘Data Management’ tab to check the saved videos and photos uploaded from DJI Pilot PE. 4.Why am I unable to see the aircraft after connecting it to DJI Pilot / DJI Pilot PE and FlightHub? The aircraft location is pushed to FlightHub through DJI Pilot/ DJI Pilot PE app, and then shown on the map. Please make sure that the connected aircraft has already established a known GPS location. 5.Why am I unable to see flight logs and live stream videos on FlightHub when I turn on a drone that has been bound to the FlightHub system? Please make sure that your mobile device is connected to the network that you are using and the data upload function is turned on in DJI Pilot / DJI Pilot PE. If you are demonstrating indoors, please connect the aircraft to DJI Assistant 2 to fly in simulation. 6.Can flight logs in FlightHub be exported? Yes. Flight logs can be exported into Excel, PDF, and HTML formats. 7.How is FlightHub data transmitted and stored? FlightHub Basic and Advanced uses a US-based Amazon Web Service (AWS) server to transmit and store data for users outside of Mainland China. FlightHub Enterprise uses the users’ own private servers to transmit and store data. 1. Does DJI FlightHub work across borders? FlightHub Basic and Advanced will work across borders in nearly all cases. The only case in which it won’t work is if a user originally operating outside Mainland China and Hong Kong SAR goes within Mainland China and Hong Kong SAR and tries to use FlightHub there, since there is a different server used for FlightHub systems in Mainland China and SAR. The region operability of FlightHub Enterprise is determined by your own IT systems’ deployment strategy. 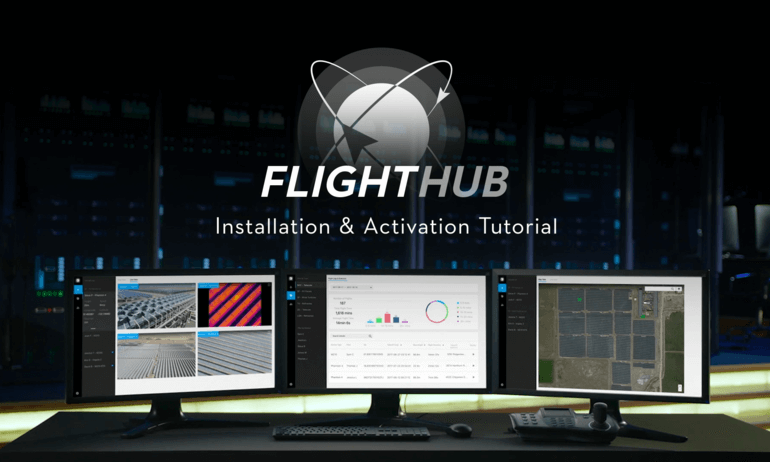 To maximize the full potential of your drone operations and drone management platform, FlightHub WebSDK allows users to integrate their existing systems with FlightHub or develop their own custom web applications.